Lock in a great price for Renaissance Aruba Resort & Casino, A Marriott Luxury & Lifestyle Hotel – rated 8.7 by recent guests! The room accommodation was fine, comfy with all the necessities and a balcony. Staff were very friendly, courteous, and helpful. We loved the Renaissance island! It was a very enjoyable vacation, The people were super friendly and I liked not being were there was vacation properties stacked tight to one another. Liked Flamingo Island & boat rides to the island, safari ride, back to the land tour and snorkel trip. Very friendly people. Hotel comfort and design. Spacious. Nice pool and facilities. Flamingos beach. I wish that when I had booked the hotel that they had given me the option of "breakfast included". I was looking for it on the website, but I was disappointed that we could not get that. Flamingo Beach was wonderful!! I enjoyed the Children's Carnivaale Parade while we were there! Staff and all the locals we met were so polite and friendly! I would love to come back again to Aruba! We booked the hotel just to get to their private island. It was a nice stay overall. The cabanas on the private island made the trip. Very expensive but worth the splurge. Without this day trip the entire stay would have been a disaster. Very close to the harbour, we are catching a cruise, close to shopping, the pool at the hotel was very nice and the island (which is part of the hotel) was excellent! What can I say, it exceeded all our expectations. And that says a lot because we have travelled nearly everywhere and stayed in lots of luxury resorts. This was our honeymoon trip, and we were greeted with a room upgrade to a beautiful ocean view room. Staff was very helpful, the private island is so relaxing and beautiful. Good location. Safe, clean, very friendly and knowledgeable staff. Easy walk to lots of restaurants. 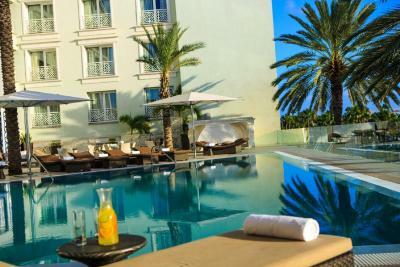 Renaissance Aruba Resort & Casino, A Marriott Luxury & Lifestyle Hotel This rating is a reflection of how the property compares to the industry standard when it comes to price, facilities and services available. It's based on a self-evaluation by the property. Use this rating to help choose your stay! One of our top picks in Oranjestad.Featuring a 40-acre private island and beaches, this Oranjestad resort offers both adults-only and family lodging. A full-service spa, casino and choice of fine restaurants are available. Free WiFi is included. 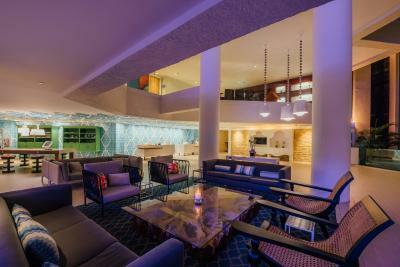 Satellite TV and a coffee maker are found in each bright room of the Renaissance Aruba Resort and Casino. Bathrooms provide plush robes and slippers. A large fitness center and a jogging trail offered to guests at Renaissance Aruba. Three beautiful pools, scuba diving and kayaking are also offered. Offering 8 dining options total, Aquarius and the Papagayo Bar & Grill serve fine international cuisine. Guests can also enjoy L.G. Smith’s Steak & Chop House or Midnight Grill and BLUE. 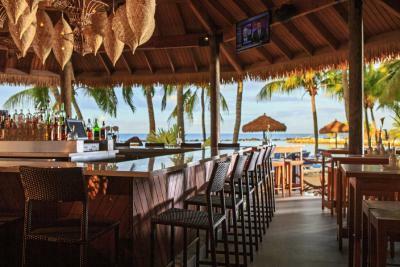 Fresco, Sole and Mangrove Beach Bar are available for additional dining options. Breakfast and all inclusive can be offered for an extra fee. The Reina Beatrix International Airport is 5 minutes from the Renaissance Resort and Casino. This waterfront property is located in Oranjestad's town center. This property also has one of the top-rated locations in Oranjestad! Guests are happier about it compared to other properties in the area. 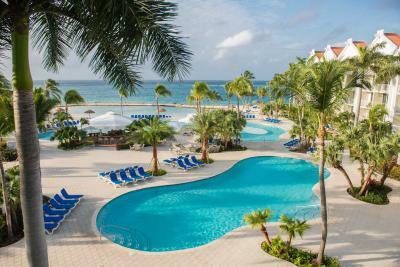 When would you like to stay at Renaissance Aruba Resort & Casino, A Marriott Luxury & Lifestyle Hotel? Cheerful, air-conditioned adult exclusive room with either a luxurious king or two double beds. 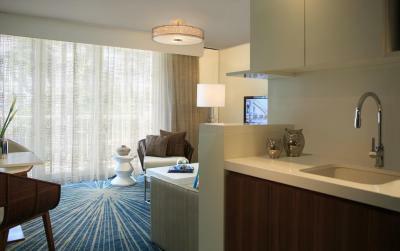 Features Marriott Revive Bedding and free high-speed internet access in all guest rooms and lobby. In the adults-only area, this cheerful, air-conditioned room with luxurious king or two double beds. 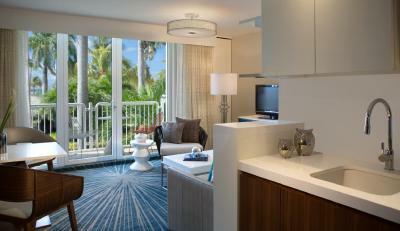 Features Marriott Revive Bedding and views of the island. Free high-speed internet access in all guest rooms and lobby. Located in the adults-only area, this cheerful, air conditioned room with luxurious king bed. 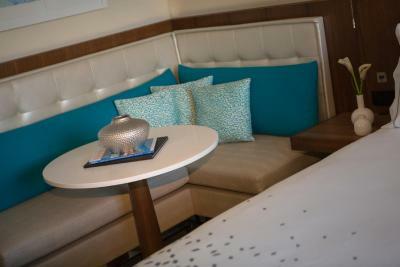 Features Marriott Revive Bedding and a beautiful ocean view. Free high-speed internet access in all guest rooms and lobby. Located in the all-suite hotel, this spacious, air conditioned suite with luxurious king size bed. Features a kitchenette and separate living room with second LCD TV, sofa and balcony with garden view. Free high-speed internet access in all guest rooms and lobby. Located in the all-suite hotel, this spacious, air conditioned suite with luxurious king size bed. 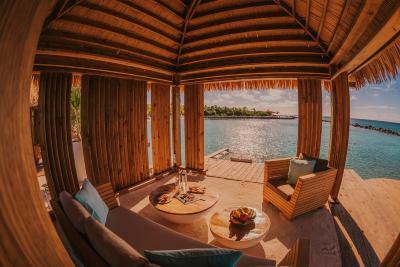 Features a kitchenette and separate living room with second LCD TV, sofa and balcony with ocean view. Free high-speed internet access in all guest rooms and lobby. In the adults-only area, this suite has a sitting area, satellite TV and bathrobe. Free high-speed internet access in all guest rooms and lobby. This suite has a balcony, dining area and seating area. 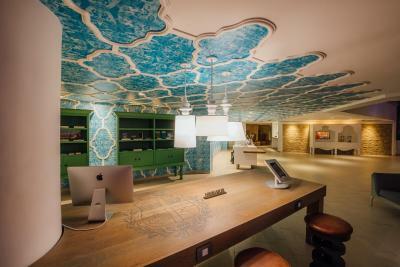 Descubra el paraíso caribeño que es Aruba al hospedarse en el extraordinario Renaissance Aruba Resort & Casino. Nuestro hotel en Oranjestad, Aruba ofrece fácil acceso a una gran selección de atracciones turísticas, que incluyen el Museo Arubano, el campo de golf Tierra del Sol y una variedad de restaurantes y tiendas para ir de compras. House Rules Renaissance Aruba Resort & Casino, A Marriott Luxury & Lifestyle Hotel takes special requests – add in the next step! 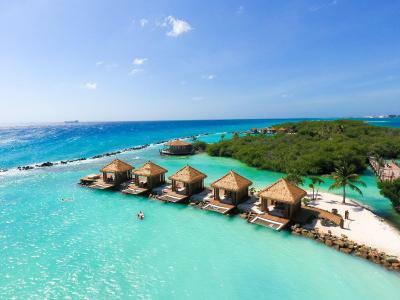 Renaissance Aruba Resort &amp; Casino, A Marriott Luxury &amp; Lifestyle Hotel accepts these cards and reserves the right to temporarily hold an amount prior to arrival. 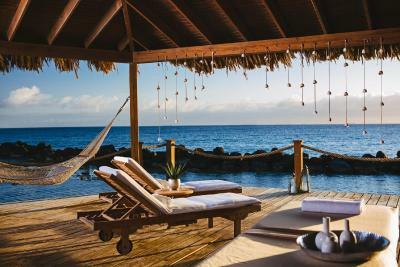 Renaissance Aruba Resort & Casino, A Marriott Luxury & Lifestyle Hotel accepts these cards and reserves the right to temporarily hold an amount prior to arrival. -	Use of kids' club. *Renaissance operated outlets are Blue, Aquarius, Sole, Captain's Corner, L.G. Smith's, Papagayo and The Lounge. 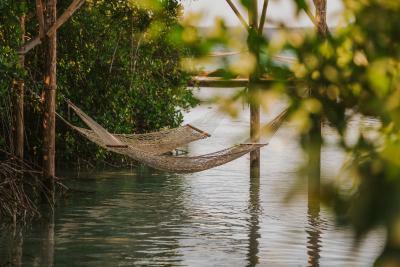 • Package does not includes taxes and room fees, room service, in-room movies, mini-bar, watersports, retail purchases, tours and transfers, casino, incidental charges, internet, bottles of wines, champagne, deluxe spirits, spa, and cordial purchases. • Additional charges per room per night (on property) USD 125 per additional adult, and USD 80 per additional child. • Minimum 4 nights stay. • Dinner at L.G. Smith's is limited to Silver Menu. Children to choose from the kids menu. Unused portions are nonrefundable/transferable. • Renaissance Ocean Suites maximum occupancy is 4 guests, incl. infants. Additional charges per room per night (on property) USD 115 per additional adult, and USD 75 per additional child. Not valid for groups. Wish the lobby had a water station and coffee. I wish they had more kid activities and/or games available. Staff is so pleasant. So clean and their private island is beautiful. I would stay here again. The Island suite should’ve been all inclusive for the amount of money spent for our stay. An ocean view would’ve been great but we would’ve traded that for breakfast and drinks being included. The comfiest bed ever!!! Best breakfast ever!!! The private island is out of this world! Fantastic service all round! Renaissance island is the true star of our stay. 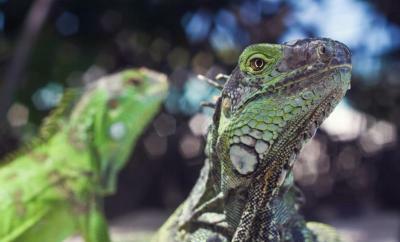 Watch pelicans, flamingos and iguanas walking over two beautiful beaches. Overpriced concrete hotel with escalators. No specific comfort and no atmosphere.